This website www.maharashtraopen.com ("Website") is the property of and belongs to IMG Reliance Private Limited ("IMGR"). By accessing, browsing or using this Website, you agree and acknowledge that you have read, understood and agree to be bound by the following terms and conditions. This Website is made available free of charge. However, IMGR reserves the right to charge subscription or membership fees from a user, in respect of any product or service provided on this site. All content, information and materials on this Website are provided to you on an "AS IS" basis, without warranty or guarantee of any kind, either express or implied. Particularly, no warranty regarding fitness for a particular purpose; uninterrupted access, security; accuracy, completeness or up-to-date information; or freedom from errors, virus, malware, Trojans, bugs, worms, infections, etc., is given in connection with this Website or use thereof. To the fullest extent permissible under applicable laws, you hereby agree to release, discharge and absolve IMGR, its affiliates, partners, sponsors, subsidiaries, agents, employees, officers, directors and representatives ("IMGR Indemnified Parties"), from any and all claims, losses and damages arising out of the use of, or inability to use, the Website; unavailability, withdrawal, modification, suspension, interruption, discontinuance or variation of the Website; or inability to access or use the Website and the IMGR Indemnified Parties shall not be liable for any direct, indirect, incidental, special, punitive or consequential damages. This Website is controlled and operated from India and IMGR makes no representation that the content, information or materials made available herein are appropriate or will be available for use in other locations. Access and use of this Website from outside of India is entirely at your sole risk and you agree and undertake to be responsible for compliance with all applicable local laws and agree to release, discharge and absolve the IMGR Indemnified Parties from any liability or loss in this respect. IMGR may make available certain products, services, content and other functionalities ("Services") through the Website to specific regions. The Services offered in one region may differ from those in other regions inter alia due to (un)availability, local or regional laws, shipment and other considerations. IMGR does not make any warranty or representation that a user in one region may access, use or obtain the Services from the Website in another region. Further, IMGR reserves the right to terminate or cancel any access or order or redirect a user to a different site, at its sole discretion. By accessing this Website, you hereby agree and understand that your IP Address, device used to access the Website and other demographics will be logged and recorded. IMGR does not collect any personal data or information. The Website may contain links to other third party websites which are not owned, operated or endorsed by IMGR and you hereby release and discharge the IMGR Indemnified Parties from any and all claims, losses and damages arising out of the use of, or inability to use, or access such third party websites or links. IMGR hereby disclaims all liability or responsibility for the content hosted or made available on or products/merchandise purchased from, or information provided by you/collected from you by such third party websites. You are advised to review the terms and conditions of such third party websites carefully before visiting, accessing, using or availing of the services of such third party websites. Correspondence, advertisement, purchase or promotion, including the delivery of and the payment for goods and/or services, and any other term, condition, warranty or representation associated with such correspondence, purchase or promotion, pertaining to such third party website is solely between you and the applicable third party and is at your sole risk. IMGR shall not be responsible or liable in any manner whatsoever for transactions, information provided by / collected from you and interaction with such third party websites and/ or any losses sustained in that regard. 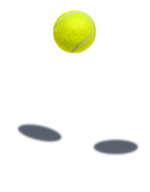 All content featured or displayed on this Website including the “Maharashtra Open” and “Tata Open Maharashtra” trademarks, logos, photos, pictures, audio, video, design, layout and all other content and intellectual property rights, belongs to, is the property of IMGR, and/or used under valid license / authorization. Unauthorized copying, use, reproduction, distribution, modification, alteration, dissemination, reposting, hyper-linking, deep-linking, framing, mirroring, downloading or any other use of the content on this Website in any manner whatsoever is strictly prohibited. All disputes shall be governed by the laws of India, without having regard to conflict of laws, and the courts at Mumbai shall have exclusive jurisdiction to adjudicate all disputes. Notwithstanding the above, disputes and claims shall be settled by arbitration to be conducted in accordance with the Indian Arbitration and Conciliation Act, 1996, by a sole arbitrator to be appointed by IMGR. The arbitration proceedings shall be conducted in the English language and the venue of arbitration shall be Mumbai. The arbitrator shall decide any such dispute or claim strictly in accordance with the governing law. Judgment upon any arbitral award rendered hereunder may be entered in any court having jurisdiction, or application may be made to such court for a judicial acceptance of the award and an order of enforcement, as the case may be. The costs and expenses of the arbitration, including the fees of the arbitrator shall be borne equally by each party to the dispute or claim; and each party shall pay its own fees, disbursements and other charges of its counsel. The arbitration award shall be final, conclusive and binding on each of the parties that were parties to the dispute. Notwithstanding anything to the contrary contained anywhere in these terms and conditions, you agree that monetary damages may not be an adequate remedy for the losses that may be sustained by IMGR from a breach of the terms and conditions of this Website and accordingly, IMGR shall be entitled to seek an injunction, restraining order, right for recovery, suit for specific performance or such other equitable relief as a court of competent jurisdiction may deem necessary or appropriate to restrain you from committing any violation of these terms and conditions. Non-compliance with any of the above terms and conditions shall result in termination of access and/or right to use the Website.